The basic wood press series, RUF LIGNUM, with an optimized standard design, enables throughput rates up to 1.050 kg/h depending on the material. All RUF LIGNUM models guarantee energy efficiency thanks to their innovative RUF hydraulic system. 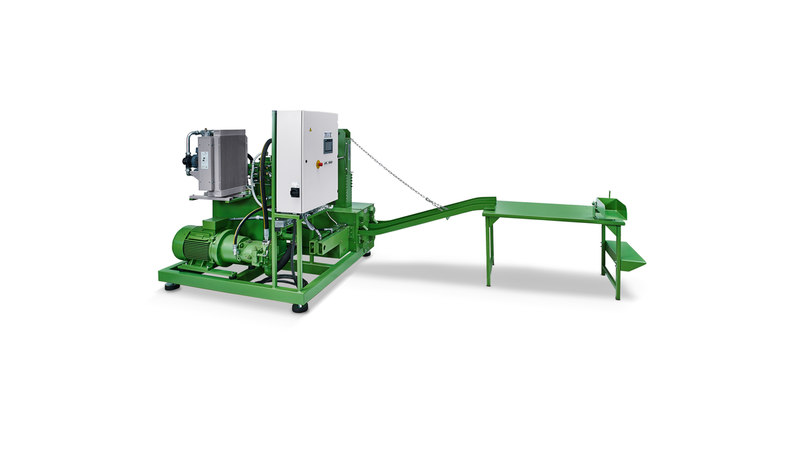 All briquetting systems of the RUF LIGNUM series process residual wood at a constantly high level of quality and density – from dust to wood shavings and coarse chips. The improved briquette length controlensures optimal weight consistency for the briquettes.